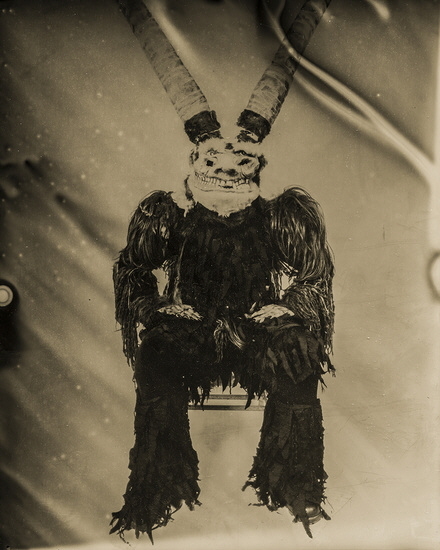 Another Krampusnacht passed, and you made it! 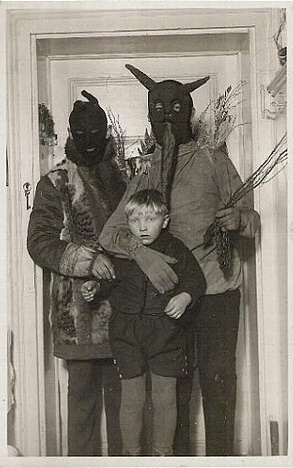 And there's still a few weeks left in 2016. 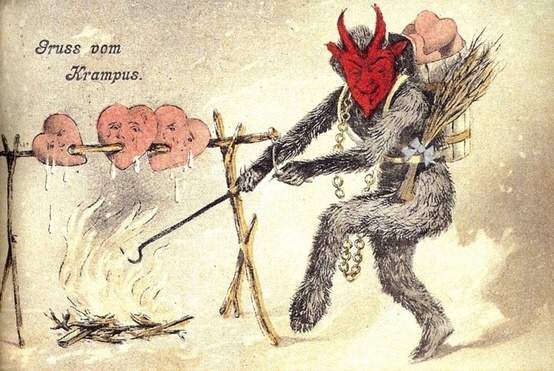 You must have done a lot of good this year, or maybe Krampus just had his hands full elsewhere. 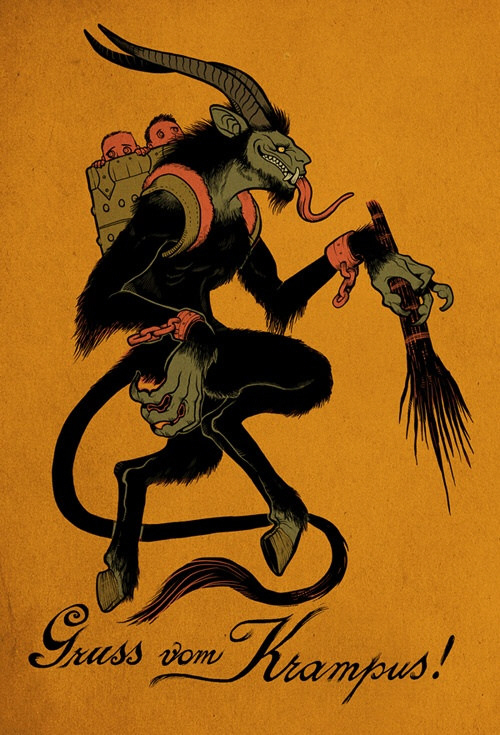 Krampus is everybody's new favorite old world holiday sprite, and he's kind of a jerk. 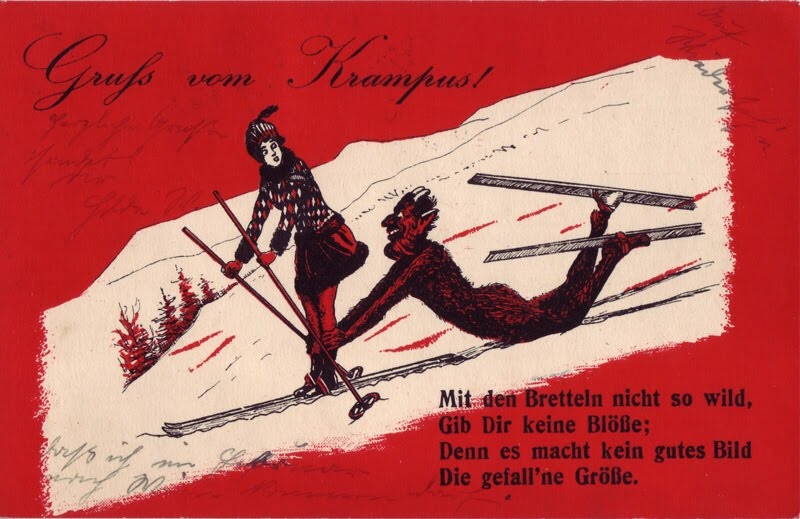 Though he's a relative newcomer to American pop culture, he and his child-stealing ways have been celebrated in the Austro-Bavarian region for hundreds of years, and most holiday historians trace his lineage to pre-Christian rites. 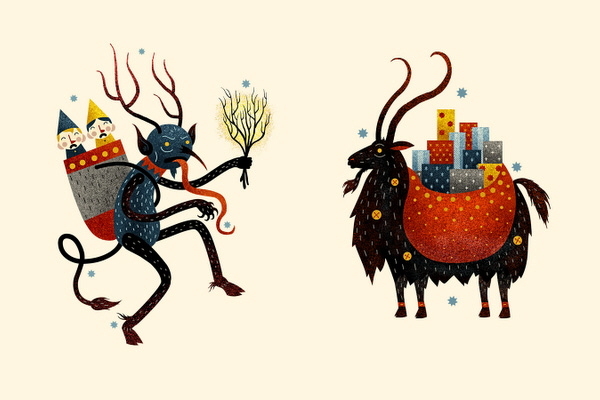 Unlike our more passive aggressive relationship with Santa (who's clearly in the pocket of Big Coal), bad kids in the Alps get beaten by a goat demon with a very upsetting tongue, and the worst are scooped up and taken away in a magically expansive sack. 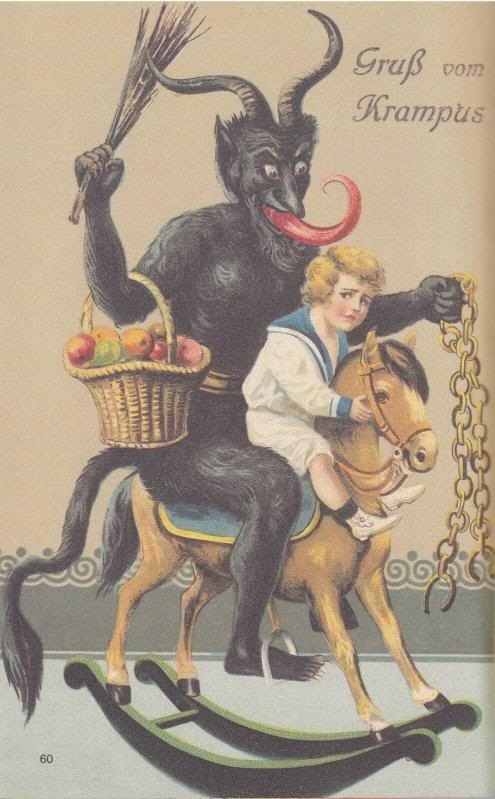 So he does have some tricks in common with St. Nick. 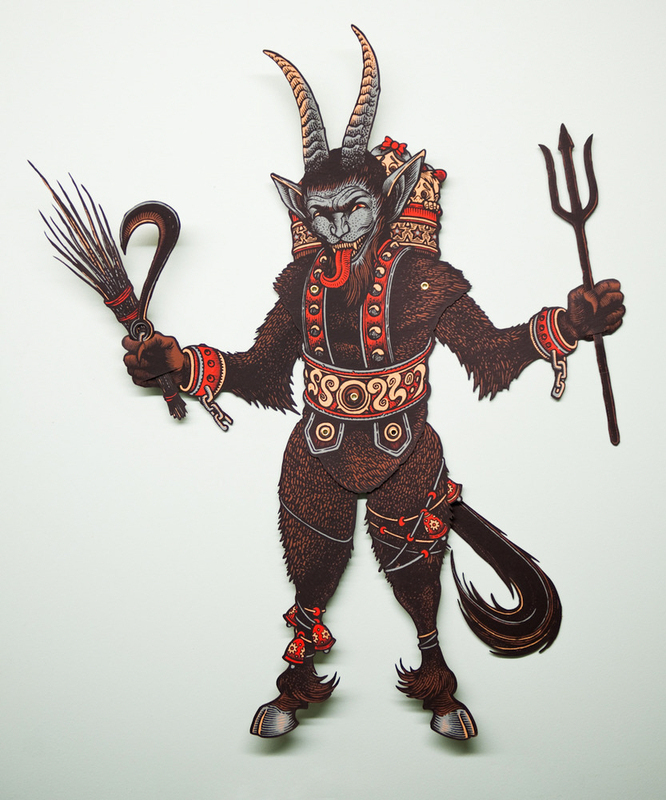 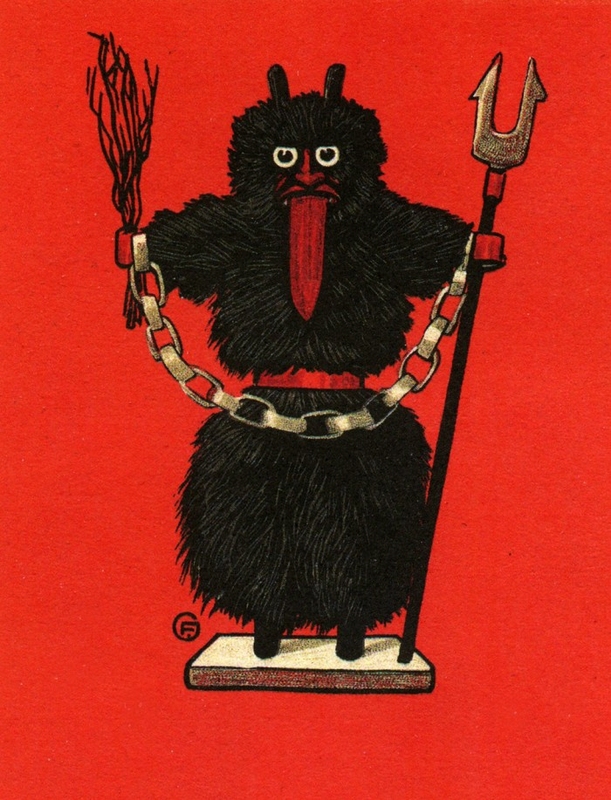 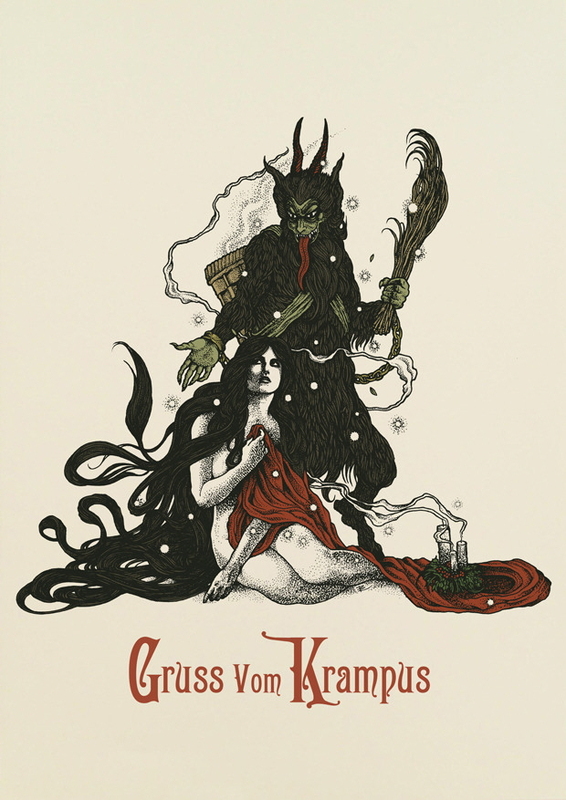 To celebrate this cheery and reflective holiday, it's common to exchange Krampuskarten, or Krampus cards, and dress up as your favorite interpretation of Krampus himself. 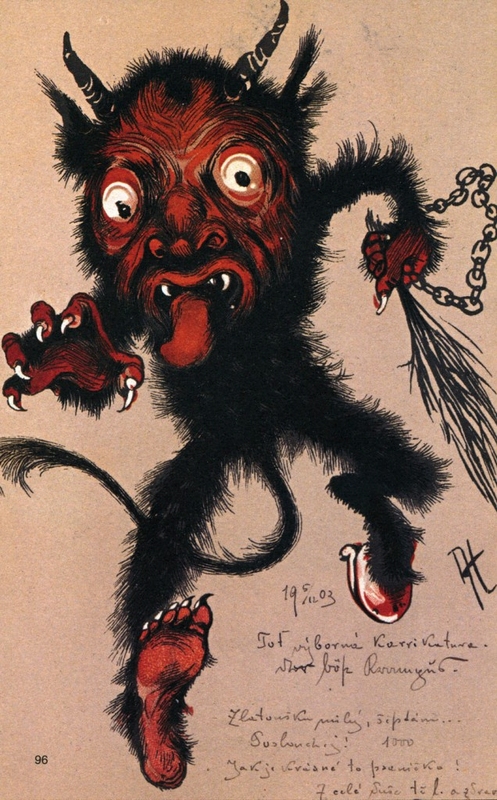 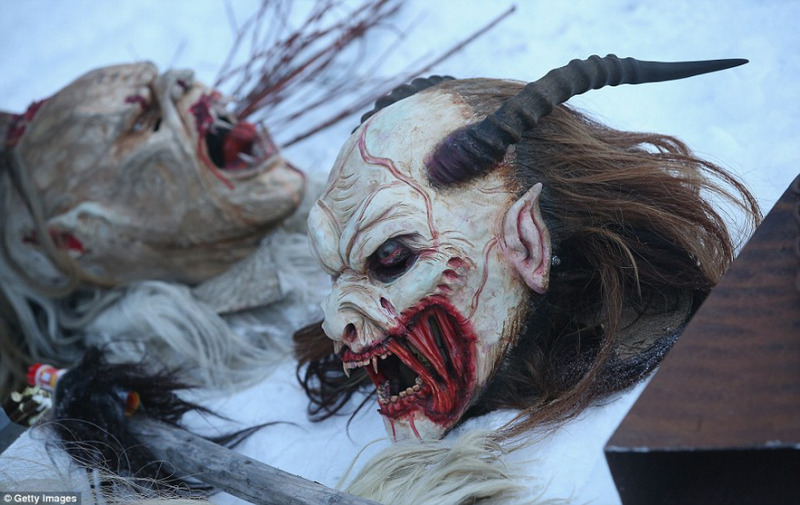 Here are a few old and new interpretations that show why we're grateful to have escaped Krampus's clutches for another year, even if we didn't deserve it. 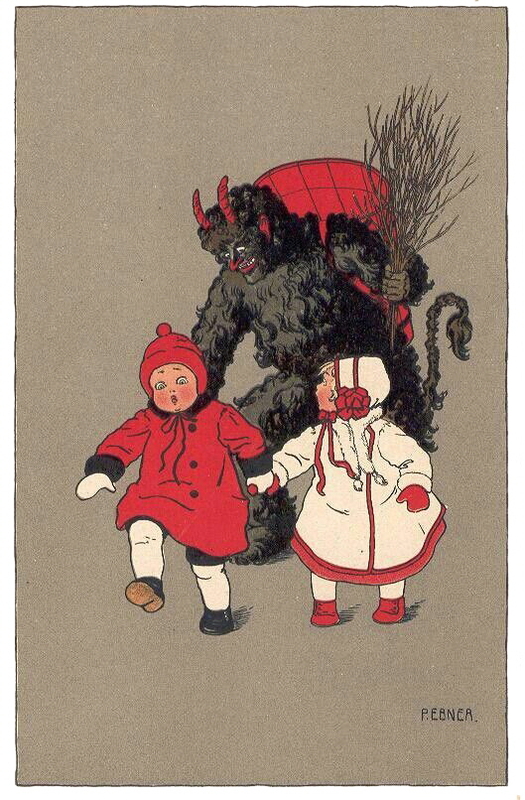 Not sure which one is creepier; the fantastic illustration of the Krampus with basket on his back and the kids heads peeking out, or the Krampus sitting behind the child on the rocking horse.